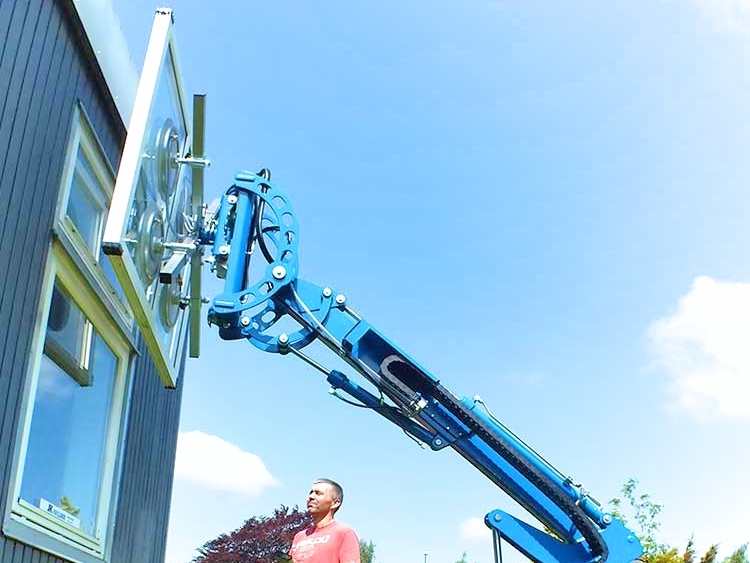 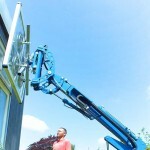 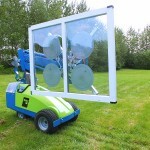 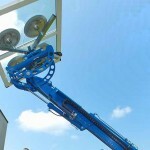 A revolutionary new way of installing windows, glass or air tight materials using the Winlet. 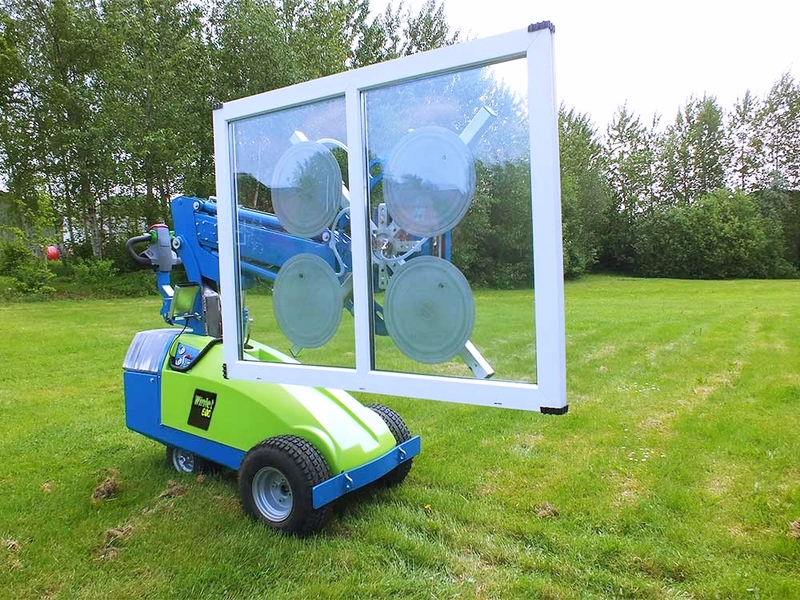 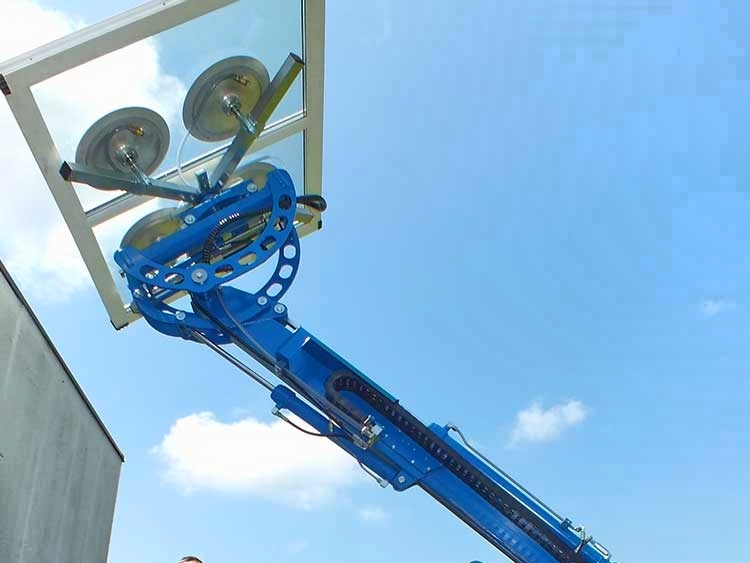 Improve installation by transporting and installing window elements weighing up to 1320 lbs. 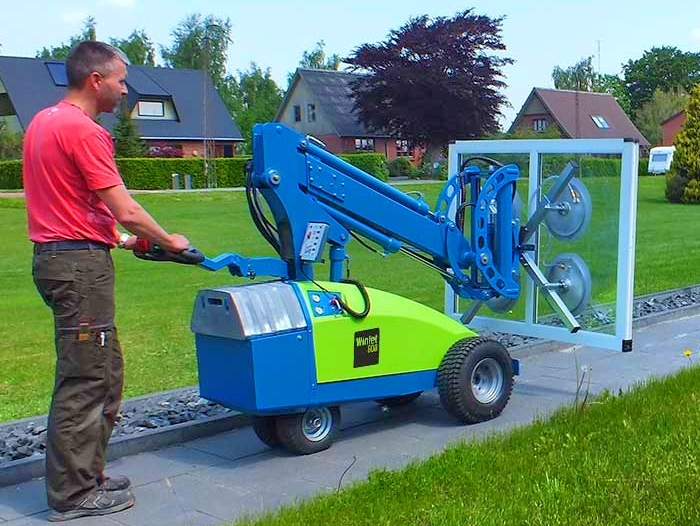 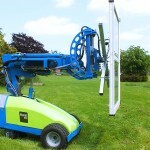 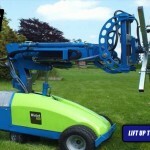 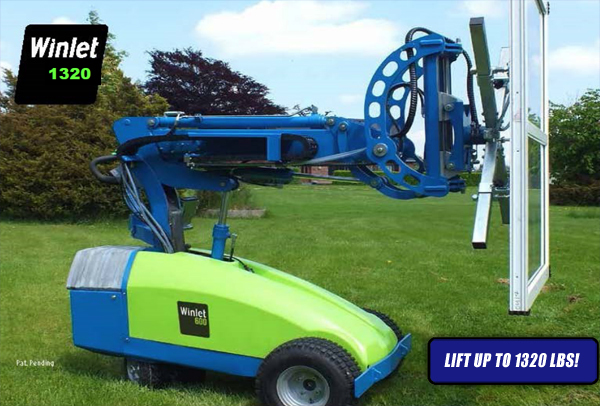 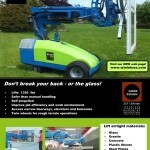 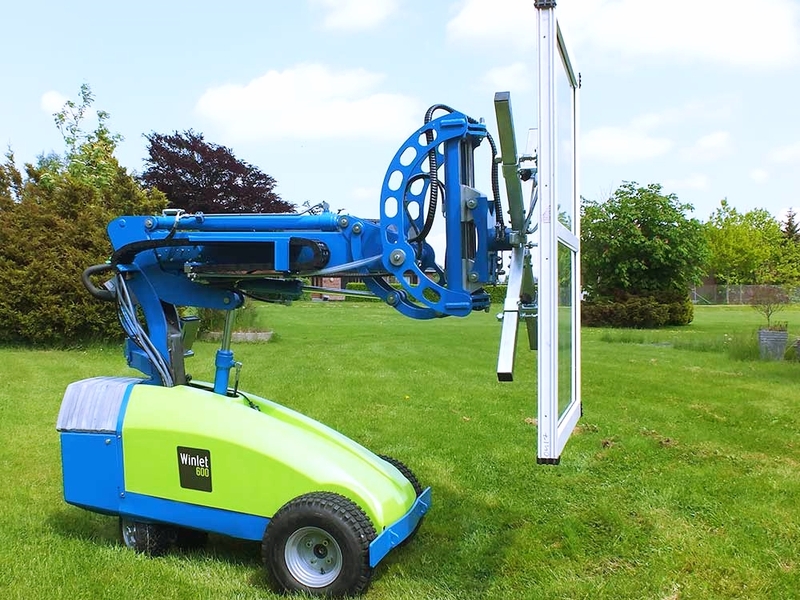 The Winlet is self propelled and extremely compact allowing the operator easy access to their work area. 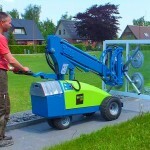 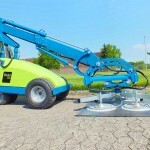 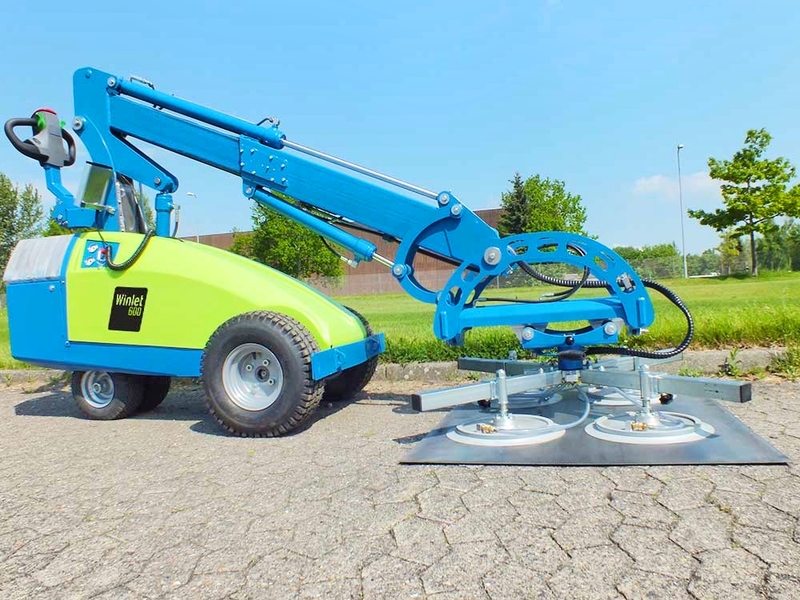 These units are lightweight and easy to transport.